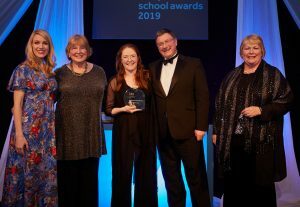 Many congratulations to Lichfield Cathedral School on their independent-state school partnership award at the prestigious Tes Independent School Awards 2019! 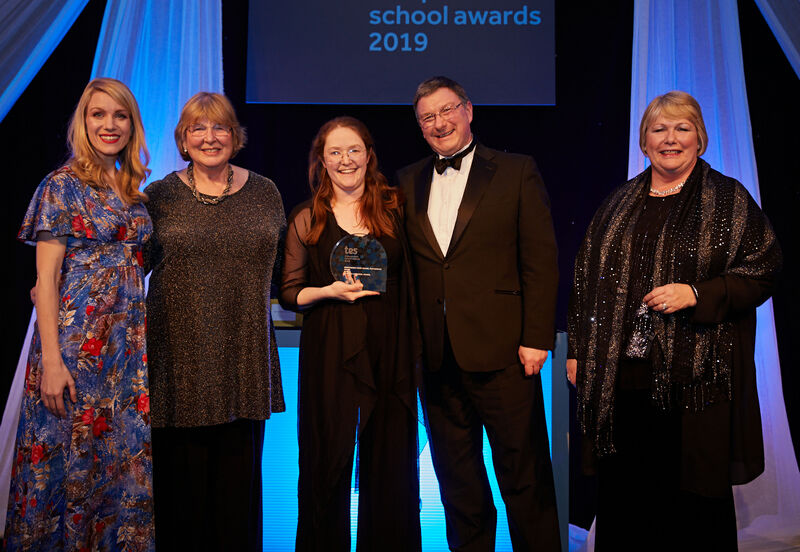 For more than a decade, Music Share Programme (Lichfield Cathedral and Lichfield Cathedral School) has brought the joy of singing to children through dozens of school partnerships. Since the programme joined the North-West Midlands Music Education Hub as a funded partner, its reach has exploded. Music Share now works with pupils from some 50 state schools on various different projects each term. The award was accepted by Music Share leader Cathy Lamb, Director of Music Outreach at the Cathedral School. Cathy was joined by Rev’d Canon Andrew Stead, Precentor (Liturgy, Music and Formation) at Lichfield Cathedral; and Jenny Mason, Music Hub Manager at Entrust Music Service Staffordshire. Last year Music Share worked with 103 schools for core projects, with a further 150 for one-off projects. this included two concerts for children with special educational needs (SEN). Working with two boys in an emotional behavioural unit was deeply rewarding and had a profound impact on those involved. As one teacher at the unit put it, “without question [the boys] were walking taller on Thursday morning, and for pupils like ours that is potentially a life-changing feeling”.